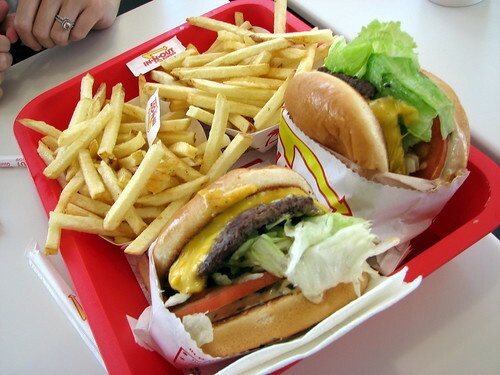 In-N-Out is a chain of classic fast-food restaurants scattered throughout South-West America, which can be a nice option to have a bite after an exhausting flight. The establishment was founded in 1948 and located 12 miles away from the local airport, thus making Thrifty car rental in Los Angeles the best way to find it. Although this is the usual fast food, for a few dollars you can get there a pretty good burger. The “Secret Menu” offers additional options: for example, you can ask to add chili peppers, order a burger with four portions of meat and the same number of slices of cheese or a vegetarian option without these ingredients at all. What to order: Double-Double Burger for $4. It includes two cutlets, two slices of cheese, lettuce, tomatoes, fried onions and sauce. You can choose one of two serving options – animal style and protein style. “Animal style” suggests mustard, a lot of sauce and pickles, and “protein” – lettuce leaves instead of buns. The Golden State is not a chain establishment. It’s located on Fairfax Avenue, between Rosewood Avenue and Oakwood. The establishment positions itself as a “talent show” or “scene” for local food and drinks. This fast food spot tries to use only healthy farm products, the freshest pastries from Los Angeles bakeries and the most delicious drinks from regional breweries and wineries. What to order: The Burger for $11. It consists of farmer’s beef and cheese, smoked bacon, arugula, aioli, ketchup and soft bun from a bakery nearby. Also, it’s served with potatoes or salad to choose from. Father’s Office gastro pub begins its history in 1953. It’s among the first establishments in California to sell live beer, and today more than 30 kinds of this drink are presented there. 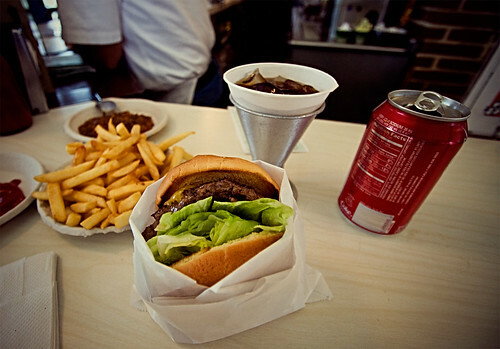 Father’s Office is famous for its Office Burger, which according to Esquire magazine was named the best in the world. Also, Father’s Office is known for its intransigence: if ketchup is not provided for in your hamburger, it will not be there, no matter how much you ask. What to order: Office Burger at $12.5. 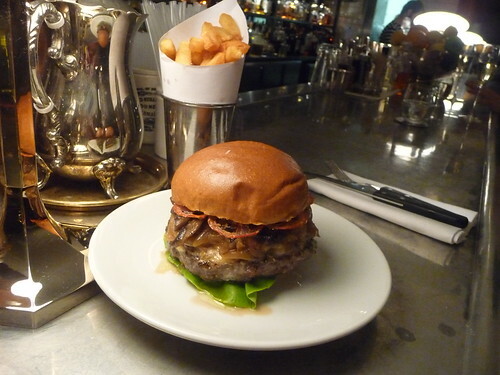 It includes perfectly grilled cutlet, caramelized onions, gruyere, blue cheese and arugula in a soft oval bun. Plan Check is a small chain of establishments consisting of three bars in West Los Angeles, the Fairfax area and Downtown. It received its name from the nearby Department of Security, where hundreds of architects, builders, designers and engineers are gathered daily to check and approve plans. The restaurant’s chef uses special ketchup for burgers, the consistency of which resembles either jam or jelly – in this case the bun will remain soft and crunchy. 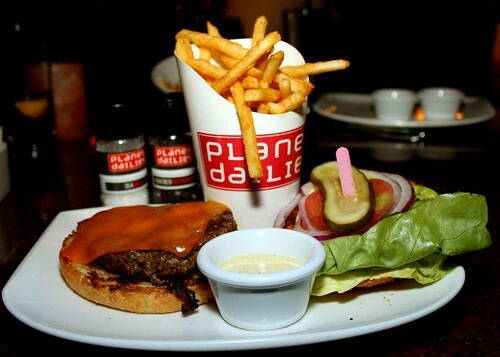 What to order: Plan Check Burger ($12) with a juicy patty, ketchup, cheese, onions and pickles. Chef’s Favorite Burger ($14) with double cheese, bacon, ketchup, hot sauce and fried egg. Opened in 1947, the Apple Pan is a small restaurant which is well-known for its burgers and apple pies with vanilla ice cream. Since the opening of the establishment, only minor things have been changed there – brick walls, checkered wallpaper and wooden panels still adorn the walls, guests can seat behind a U-shaped stand, food is served in paper plates, and drinks are in cardboard cone-shaped cups on metal stand. What to order: Classic American burgers – Hickory Burger and Steak Burger (about $ 7) with beef patty, mayonnaise, pickles, fresh salad leaves, cheese and special sauce. Rounds Premium Burgers chain was founded in 2011. It offers a new “fan format” of classic American eateries. It includes three fixed points – in West Hollywood, Claremont and Pasadena, as well as mobile food truck. In order to find out where to look for a food truck, visit the official site: the owners regularly update the list of locations and opening hours. You can order a burger from the menu or create your own. What to order: Create your own burger (from $5). Add jalapeno peppers, sweeten them with grilled pineapples or add a fried egg for satiety. Do not be afraid to experiment! This restaurant chain specializes in burgers. The first establishment was opened in Los Angeles in 2009. Since then, the chain has expanded significantly by covering other states. 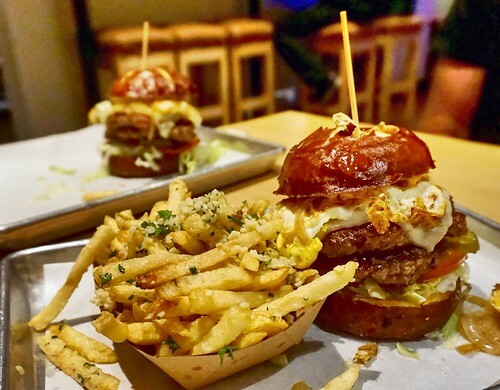 The chip of Umami is the concept of the “fifth taste”: all burgers harmoniously combine sweet, salty, sourish, bitter-sharp and specific “fermented” tastes. The meat is kept in the marinade of soy sauce, dried and ground white mushrooms and fish heads. This gives the cutlet an original taste and a terrific flavor. What to order: Umami Burger (about $ 12) with slightly sweetish soft bun, salty crumbly parmesan, shiitake mushrooms, roasted tomatoes, caramelized onions and homemade ketchup.